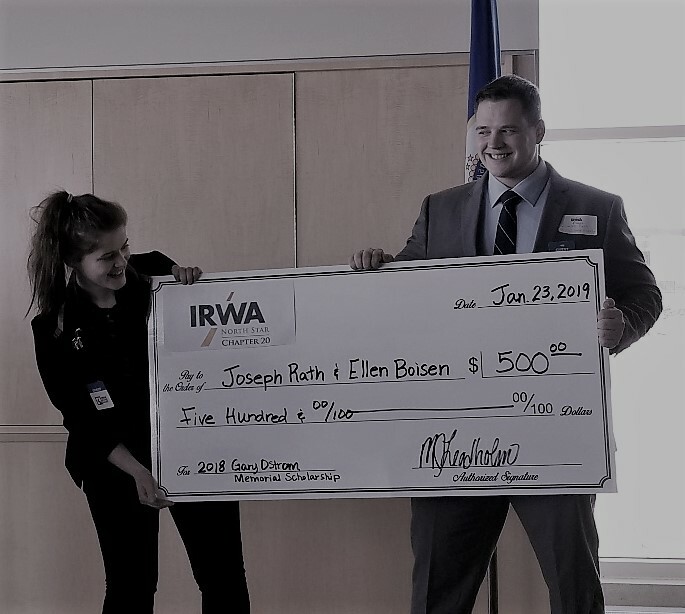 Congratulations to Joseph Rath and Ellen Boisen, St. Cloud State University Students, for each receiving a $500 scholarship as a part of our Chapter’s college outreach Program. 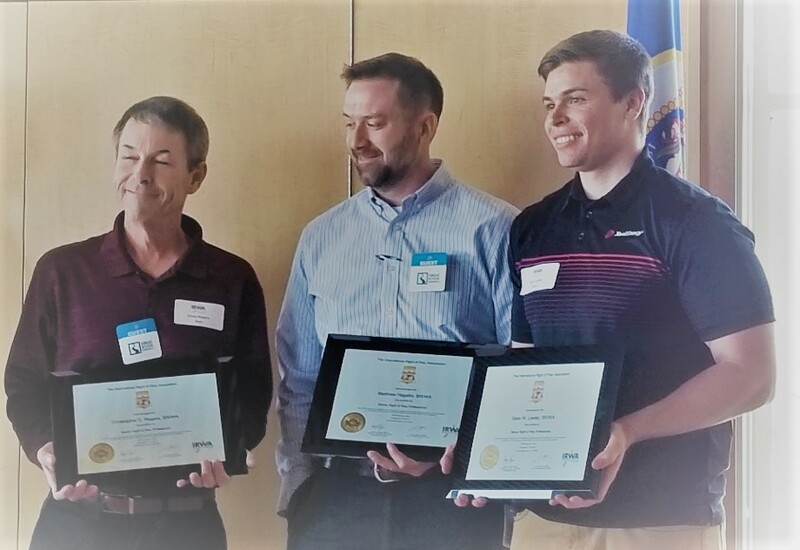 Congratulations to Sean Lawler, Matt Hagelin, and Chris Rogers – all three have recently earned their SR/WA and were honored with their SR/WA pins and plaques. Congratulations to Washington County – awarded Chapter 20’s 2018 Employer of the Year Award. 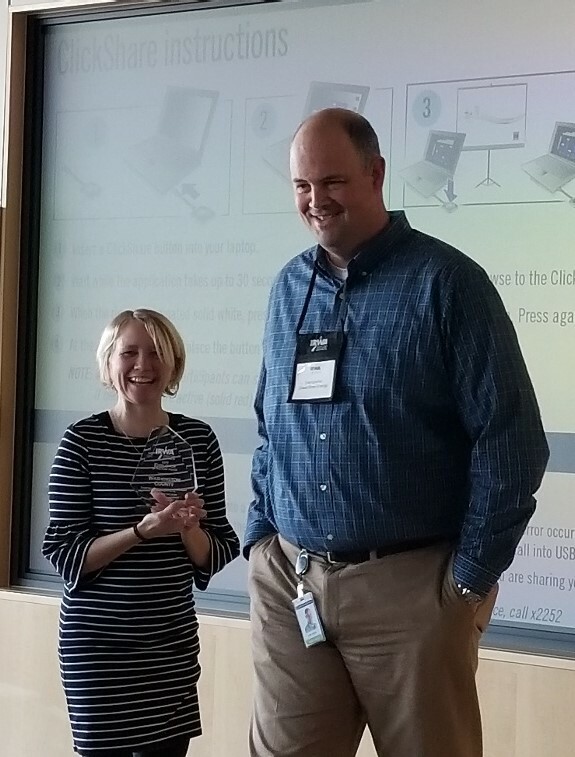 Congratulations to Mindy Leadholm – awarded Chapter 20’s 2018 Young Professional of the Year Award. 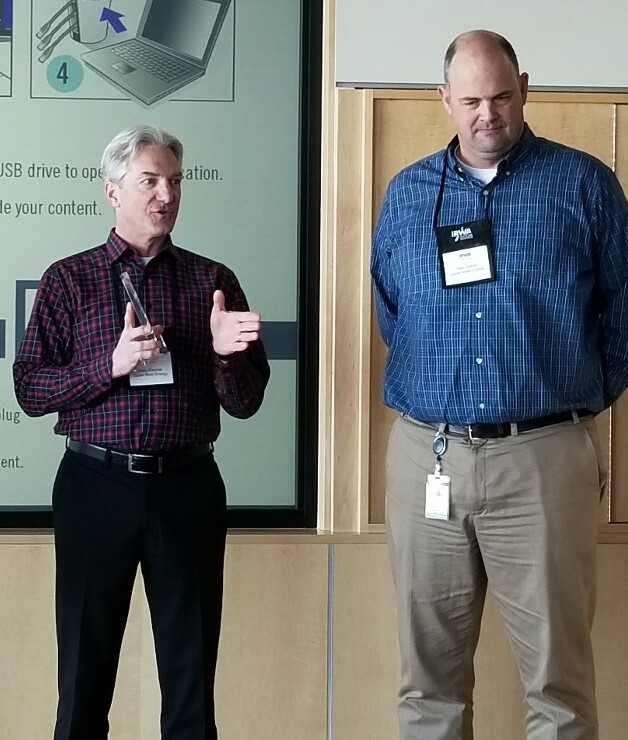 Congratulations to Craig Poorker – awarded Chapter 20’s 2018 Professional of the Year Award. Please join me in congratulating everyone on their achievements throughout the year. Chapter 20 is what it is because of our AMAZING members! To Matt, Chris, Sean, and Mindy – congratulations to all of you for your terrific contributions to the right of way profession. Your achievements involved a lot of time, hard work and commitment and you are well-deserved of the recognition. Thank you for all you do! To Ellen and Joseph – congratulations on receiving your scholarships from the Ostrom Memorial Fund. You have each accomplished a lot and you’re just starting your careers! Best wishes to you both. And, thank you for the honor of being your Chapter 20 Professional of the Year. I appreciate that I can still contribute something to our chapter and am greatly humbled by the award. It’s an exciting time to be a member of North Star Chapter 20!